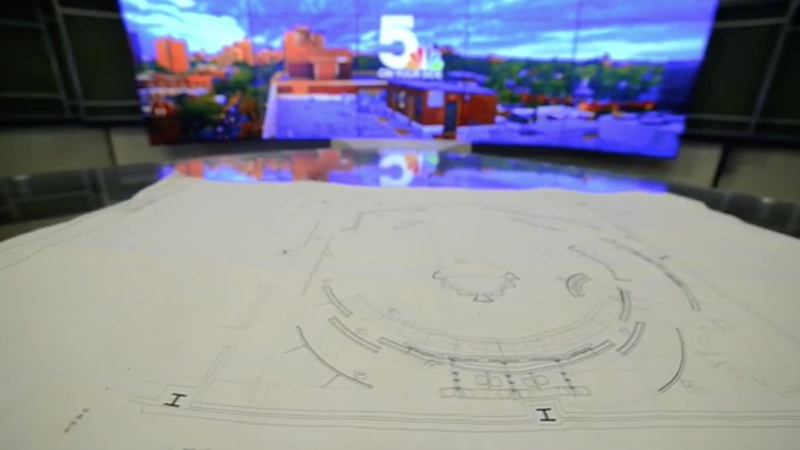 Tegna’s St. Louis NBC affiliate, KSDK, has released a promo teasing the first preview of its set upgrade along with a new logo design. To debut in the coming weeks, in time for the November book, we first reported on the change in September as the station moved to a temporary set. The set design follows the current corporate standard, with a sweeping video wall and ‘guitar-pick’ shaped desk allowing flexibly of presentation on-air. The logo design features a new numeral “5,” replacing a look that originally debuted in 1993, with a subtle “Gateway Arch” reference. The station’s signature red color remains, with the same “On Your Side” slogan.